Abdul El-Sayed did not reject this endorsement. He welcomes Sarsour’s election jihad. 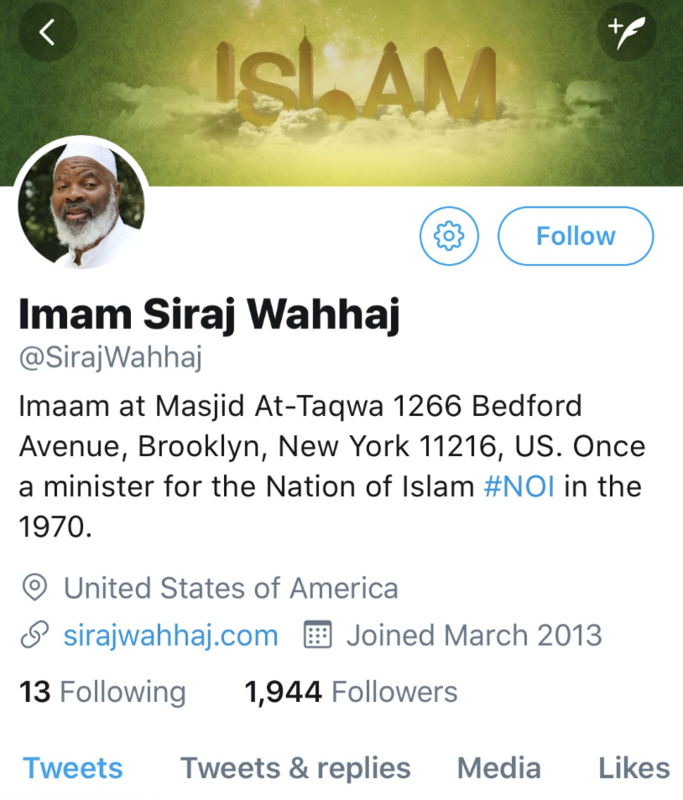 Did Sayed accept funds from Siraj Wahhaj? 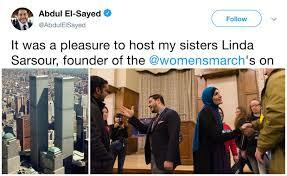 Terror supporter Linda Sarsour has been vigorously campaigning for the first Muslim candidate for Michigan Governor Abdul El-Sayed, who is not what he seems. His affiliations with known terror-tied persons and organizations reveal his allegiances. El-Sayed refuses to answer questions concerning the most brutal and extreme ideology on the face of the earth. And he campaigns on abolishing any immigration enforcement. He wants a hijrah like Europe has suffered. Is this what Michigan wants? I know it’s a blue state but does it really want to be Hamas green? 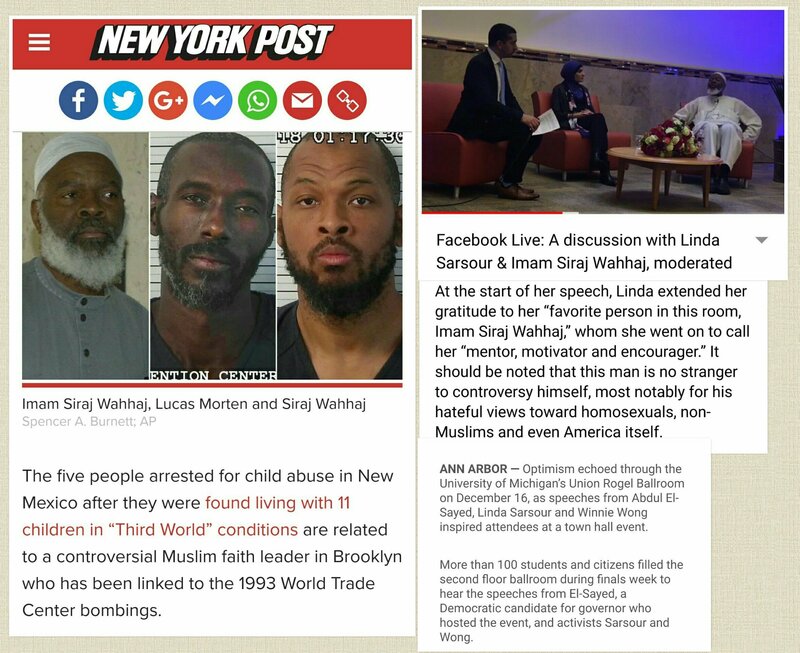 This week, Wahhaj’s son was arrested in a raid on an Islamic compound armed by “Muslim extremists”. He was heavily armed with an AR-15 Rifle, five magazines and four loaded pistols at the time of the raid. Remains of a dead child were found as well as other starving children who were being trained to kill. Court documents revealed the children were being trained to commit school shootings. For all those who fantasists who have been promoting Michigan gubernatorial candidate Abdul el-Sayed as some second coming, “the moderate!,” his associations and deceptions reveal who he really is. 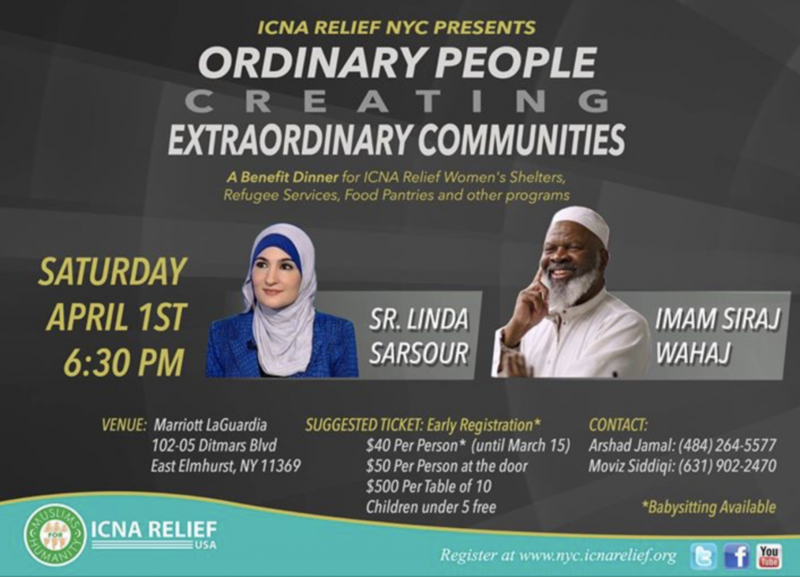 Clearly, he is a deceiver and a radical with sharia oppressor Linda Sarsour and Alexandria Ocasio-Cortez at his side soliciting support from jihad terrorists. Sharia supremacist and infamous antisemite Linda Sarsour is on an election jihadi to get her anti-America, Jew-hating, terror-tied pack of subversives to campaign for Michigan candidate for Governor, Abdul El-Sayed, “the moderate”.